What lengths would you go to in order to ride a bicycle? Following a new generation of young Afghan women cyclists, Afghan Cycles uses the bicycle to tell a story of women’s rights - human rights - and the struggles faced by Afghan women on a daily basis, from discrimination to abuse, to the oppressive silencing of their voices in all aspects of contemporary society. These women ride despite cultural barriers, despite infrastructure, and despite death threats, embracing the power and freedom that comes with the sport. Afghan Cycles follows members of the National Cycling Team in Kabul, and young riders in the Bamiyan region who are using mountain bikes to commute to school and run errands. For all of them, the bicycle is a symbol of freedom. But sometimes, the danger and obstacles can prove too much, as we learn when one of the main characters flees to France to secure a better situation and future for herself and her family. Afghan Cycles is a film by Let Media and will premiere at Hot Docs in Toronto Spring of 2018. 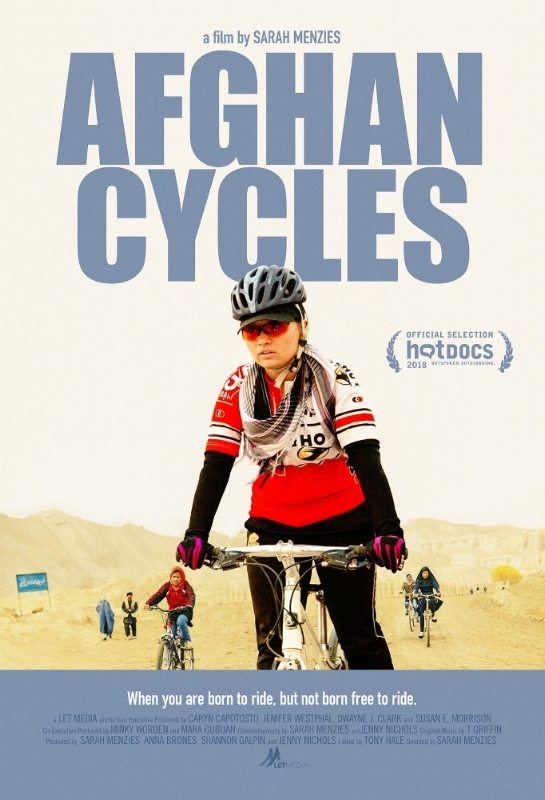 Afghan Cycles is a feature length documentary that tells the story of brave Afghan women who challenge gender barriers and put their lives at risk for the simple pleasure of riding a bicycle.